This Pure Silk embroidery thread colour pack has been carefully hand selected to bring you 10 different silk shades from our extensive collection of over 300 colours. Many of the shades in our silk packs are new additions to our range and are therefore only available in these colour packs. Each cop is in our finest thread (6 thread) and is 200 metres long, that's a total of 2000 metres of Pure silk embroidery thread. Use the threads in these packs just as they are or for shading and blending techniques, try combining our single strands from the colour packs together. 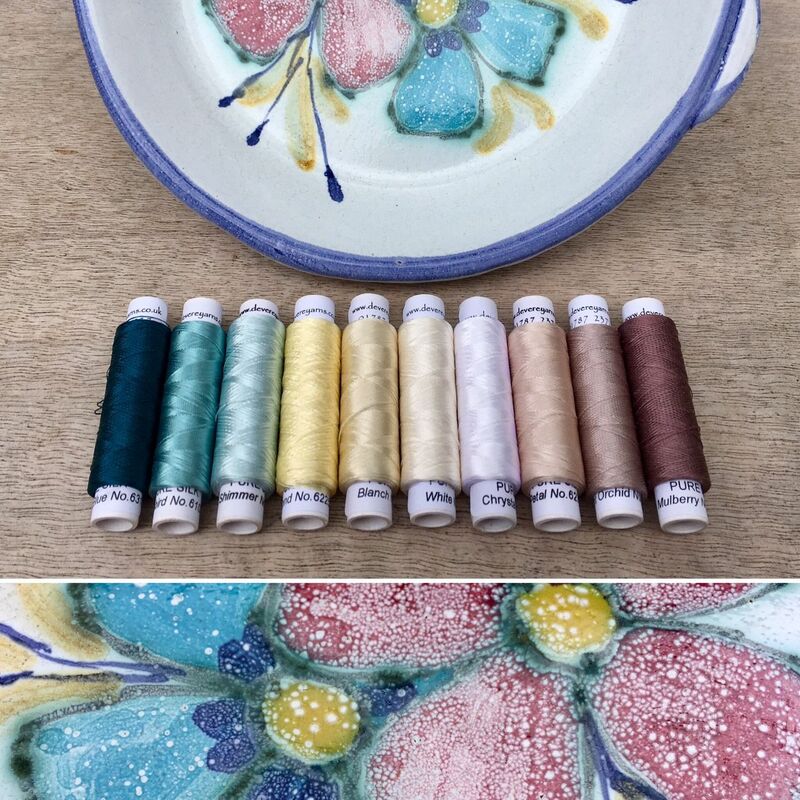 It adds depth and highlights to your hand embroidery and with these carefully selected shades, you can't go wrong!